Kathleen Fornal has been a real estate professional since 1978. 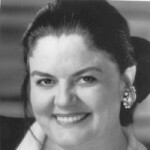 First licensed in New Jersey then moving to San Diego, California in 1983, Kathleen began working in Del Mar. Today, Kathleen has a staff of five with the ability to expand. Over the years Kathleen has developed several solid banking relationships and established excellent credit with these institutions. Kathleen values each and every one of these clients and understands their procedures and policies. Kathleen has expanded her client base to represent more than a dozen financial institutions in their foreclosure activity, and she has the capacity to do more. Kathleen attributes her success and ability to surpass the expectations of these institutions to her core beliefs in doing business, including treating all parties with respect, handling each individual and transaction with the utmost professionalism, firmly and intelligently negotiating for her clients, and never losing site of the objective. Fornal is also entrusted as a relocation specialist for several Fortune 500 companies including Caterpillar, Solar Turbines, and Nuvasive. She has also worked with top law firms in San Diego and many international clients. Her compassion for her profession and knowledge of the area have attributed to her continued success in placing these clients in the perfect home that offers the lifestyle they are seeking. Additionally, Kathleen’s ability to continually adapt to the ever changing market has allowed her to become exceptionally proficient with short sales. She has developed a streamlined system which enables her to get these listings closed. Kathleen has an impressive 23 years straight earning the elite designations at her brokerage, which places her among the top four percent of the firm’s agents worldwide, often among the top 1%. Kathleen attributes all of her business to referrals, including past clients and bank referrals, and is secure in knowing what customers appreciate.